Chris Pirillo: What is the Oldest Computer You Own? While it’s easy to envy people who have all the money to get fancy new gadgets, devices, doohickeys, and suchlike on the day they’re launched, there are a few advantages to living behind the hardware curve that you may not have considered. After all, when your horse and buggy breaks down, who are you going to trust to fix it: the local BMW mechanic, or the Amish guy 20 miles outside of town? For several years, Seattle-based Picnik has been one of the most popular services offering users the ability to crop, resize, and rotate photos, as well as edit the exposure, correct colors, add effects (such as black and white), and add text to them. However, ever since Picnik was bought by Google in 2010, its future has seemed doomed, much like other Google acquisitions shortly after being acquired. If you don’t need an expensive photo-editing app, yet are willing to pay a small fee (or put up with ads) to edit your photos online elsewhere, here are a four great alternatives to Picnik that we found for you. To counterpoint five things that you should buy used, there are plenty of things that you’d be equally wise in investing just a little more money for being pristine and unused. A hard drive, for example, is cheap enough when it’s fresh from the manufacturer (and will be covered by a warranty) that saving a couple of bucks from some shyster on eBay who may have dropped the thing a couple of times just isn’t worth the price of your sanity. If you want to ensure that your purchases outlast the time it takes for money and goods to exchange hands, you should check this out. Chris Pirillo: When Will Printers Die? 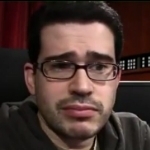 During the live recording of TLDR, a viewer asked if I thought printers would die out in five to 10 years as a result of everything going paperless and﻿ digital. Here’s what I had to say about it. Chris Pirillo: Is the Chromebook Good Enough? The Chromebook has been out for a while, and it certainly has its pros and cons. While it may be a capable device for general web browsing, it is held back by a high price point and general lack of features to support the cost of entry. A new, tricky phishing scam has been making the rounds throughout the Internet as of late and our friends at KnowBe4 have released a special bulletin warning their customers about this scam. Chris Pirillo: How Much RAM Do You Need? 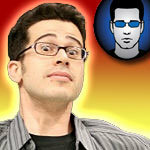 Chris Pirillo: How Can You Tell if Someone is Using Your Wi-Fi? Do you have the sinking feeling that someone may be accessing your Wi-Fi, but don’t know how you can tell for sure that this is happening? Chris Pirillo: Are SSD Drives a Better Choice for Your PC? Solid-state drives (SSD) are becoming more affordable and are replacing hard disk drives (also known as spindle, HDD, or platter-driven) as the primary storage medium in many portable devices. Chris Pirillo: What’s Next in Home Networking? Home networking used to be a matter of taking the phone jack out of one computer and sticking it in another. Chris Pirillo: Is LCD or LED Screen Right for You? LED monitors and televisions are beginning to become cheaper and more budget-friendly. They typically promote much higher contrast ratios and lower power use than traditionally lit LCD screens, but they may not be the best option for video editors. Why is that? What is the difference between LCD and LED screens? YouTube has made it so simple to upload media to the web and share it with the world without any actual costs involved. There are many reasons that someone might need to control another computer remotely. Providing tech support to family and friends, accessing your system at home from a remote location, and companies monitoring and assisting employees are just a few reasons. There are many ways to accomplish this, and in this video I go over a few suggestions that have worked for me. These may not be the best solutions for everyone, so please feel free to comment below with the method that has worked best for you. Chris Pirillo: Are Tablet Computers a Fad? Some people got very upset at me when I said the iPad, and even the iPhone is a computer. They are certainly more powerful than my first computer. Buying a new computer can be confusing because of all the brands and choices. In this video, you can learn why you want to use the Run as Administrator function with caution, how to launch a program with administrator priveliges, and when you should Run as Administrator instead of running as a standard Windows 7 user. Chris Pirillo: Why Should You Use a Virtual Machine? What are the benefits of virtualization? This is a question asked over on Lockergnome Q&A recently, and I thought the answers may just benefit several of you out there. Now, we know that many of you already use virtual machines. Why not leave a GOOD comment on the video, explaining to those who don’t why it is they might want to look into doing so? See how that works? We all help each other! Remember – YOU were a n00b at one time, too!